Glacier National Park camping experiences are like no other. Lounging in campsite in Glacier National Park, either in a family tent or an RV, is a wonderful way to experience Glacier Park. If you really want to immerse yourself in Glacier National Park, as I did, the best way is to hike and camp. By day you are certainly at one with nature when camping in Glacier National Park and will feel quite small in such a mighty and majestic place. Laying in a tent at night you will hear some spine-tingling cries of cougars and grey wolves. I certainly saw more stars here on a clear night with the naked eye than I ever imagined existed! For those reluctant to experience Glacier National Park campgrounds, there are several, rustic lodges in Glacier National Park to choose from. A number of campsites also offer sites for Glacier National Park RV camping. If you love RVing, I highly recommend taking a look at the RV Camping Lifestyle site. This site is a fantastic resource for tips and advice about the RV lifestyle, including full-timing, boondocking, RV clubs, RV checklists, RV insurance, how to earn income while traveling in your RV, camping games and more. If you need an RV resource on “Where to go, What to do, and How to just have fun” while living, working and traveling America in an RV, then this is your site. Camping in Glacier National Park means you will be exposed to cold weather at any time of year, so come prepared for freezing temperatures, especially at higher altitudes in the mountains. Remember, Glacier National Park weather changes on a dime, so always be prepared for anything. Wear lots of hiking clothes as layers so that you can be comfortable no matter how hot or cold it gets–and always carry rain gear. The same applies to your campsite; secure it when you leave to go hiking so that the wind and rain will not dampen your sleeping gear. 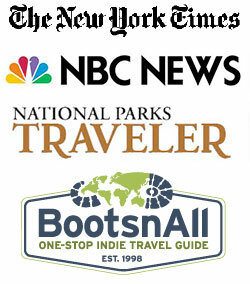 There are 13 Glacier National Park campgrounds and most are on a first-come first-served basis. 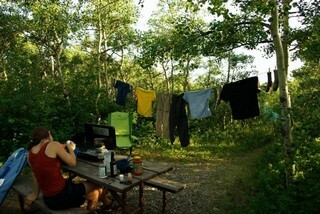 Enquiries for availability can be made at the kiosks at the entrance to each campground. Reservations can be made for camping at Fish Creek and St Mary Campgrounds with the National Park Reservation Service. Stop at the registration and information bulletin board located at the entrance to campgrounds or campground loops. Select a site, fill out a fee envelope completely and deposit it in the fee tube within 30 minutes. Park rangers cannot give refunds. Place envelope fee receipt in the clip on your numbered site post. Check out time is 12 noon. On a side note, some recommend roping off your campsite if you leave to go hiking without pitching your tent. While on my last Glacier National Park, Montana vacation, my girlfriend and I failed to do that and a family moved in on our site, even though we had paid and put up a marker on the post! After a three hour ordeal with Park Rangers, the family was forced to move–but boy, what a headache! Now, I always recommend marking your Glacier National Park campgrounds with either a tent, chair, or roping off your campsite. It’s not worth the headache of someone trying to steal your site. At the foot of Lake McDonald with boat access. Flush toilets. 4 miles north of Lake McDonald. Popular for hiking trails. 6 miles to gas and groceries. Flush toilets. On Bowman Lake with boat access. Primitive camping and no flush toilets. Dirt road access. Near Lake McDonald with boat access at Apgar. Flush toilets. On Kintla Lake (near Polebridge, Montana) with dirt road access. Primitive camping, no flush toilets. At Swiftcurrent Lake in Many Glacier Valley. Boat access. Flush toilets. Fills within 30 minutes of opening. Open end May to mid Sept. 83 sites. On Lake McDonald with visitor facilities at Lake McDonald Lodge (1 mile). Flush toilets. Open mid May to end Sept.
25 sites. Dump station, Store. No towed RVs. Open end May to early Sept. 99 sites. Dump station, Store, RV sites. A permit is required from a Visitor Center or a Ranger station in order to camp in Glacier National Park’s backcountry. 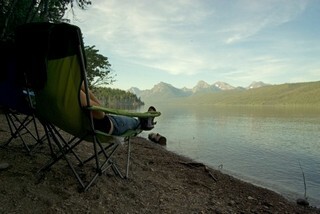 What’s your favorite Glacier National Park campsite?